We caught up with programmer Anthony Kaufman right after selections for the fourth edition of the Doc10 nonfiction showcase were slated for its April berth. There’s much to consider in the always-evolving scene, even without looking back to last year’s roster, where five selections—“Minding the Gap,” “RBG,” “Crime + Punishment,” “On Her Shoulders” and “Won’t You Be My Neighbor”—made their way to the Academy Award shortlist. Kaufman talks about how the Doc10 selections reflect the best of nonfiction today. From the vantage of this highly curated showcase are we nearing a meeting of what has forever been dubbed “the marketplace of ideas” and a marketplace for sustainable distribution and doc filmmaking? Are the big players learning how to maximize exposure for these stories, or once the films are in their hands, this “product”? One bold example was National Geographic’s insightful planning for so many streams (or maybe just collapsing windows) for “Free Solo,” which was the Oscar-winning documentary, including a pre-Oscar IMAX week that had great grosses with a larger public, followed by the commercial-free television premiere. That’s high heaven compared to the fate of many fine works either of us could cite. I’d agree that for some documentaries there is now a huge institutional support structure that is helping them get made and seen. From billionaire Jeff Skoll’s Participant Media—which has backed such high-profile docs as “An Inconvenient Truth,” “RBG” and this year’s Doc10 entry “American Factory”—to literally the largest media companies in the world (Netflix and Amazon, which acquired such Doc10 entries as “Knock Down the House,” “American Factory” and “One Child Nation”), documentaries are in a new heyday. For a while, I’d say this was mostly a creative resurgence, which was part of the impetus for Doc10. But now there’s definitely a commercial factor—docs are fulfilling the demands of a marketplace that is looking for ideas, issues and, in our current, highly politicized environment, stories that can spur on a spirit of activism and advocacy. Having said all that, I want to emphasize that this commercial support is only for some docs. Foreign documentaries have always had a particularly tough time. I’m heartened by the fact that [public television’s] POV [series] acquired a beautiful and touching Ukrainian film called “The Distant Barking of Dogs” that we’re showing at Doc10, and that another Doc10 selection, the thrilling, morally ambiguous Mexican doc “Midnight Family” has been acquired for U.S. release. Or that rising distributor Neon bought this small doc about a Macedonian beekeeper called “Honeyland.” Neon has this year’s Doc10 closing night film “The Biggest Little Farm,” which is a big crowd-pleaser about sustainable farming. This is what I’d expect from a commercially minded distributor. But I remember when I saw “Honeyland” at Sundance, Neon’s acquisition team was sitting in the front row of the theater, and I joked with them: What the heck are you guys doing here at this Macedonian art doc? But then they bought it and will be releasing it later this year, so maybe even that’s changing. Let’s look at some familiar and unfamiliar nonfiction styles. Which documentaries in the line-up are built upon precise, investigative reporting? It depends what you mean by “precise, investigative reporting,” but the one that comes to mind is Nanfu Wang’s Sundance Grand Jury prizewinner “One Child Nation.” While it combines personal inquiry and self-reflection, it’s also very much a detailed expose of China’s one-child policy and the devastating effects on an entire population. “The Infiltrators” is also a direct and well-researched attack on ICE and for-profit detention centers, even though it’s a unique hybrid of fiction and documentary. I would add “American Factory” to this list: It’s extremely meticulous in its observational portrait of the clash between U.S. and Chinese autoworkers. Which of these films provide cinematic beauty or power equal to any “movie”? Definitely “The Distant Barking of Dogs” and “Anthropocene: The Human Epoch.” These are gorgeous, beautifully photographed films—the first feels like a Dardennes-esque portrait of a child living against the misty backdrop of war, while the latter [made by Canadian filmmakers and artists Jennifer Baichwal, Nicholas de Pencier and Edward Burtynsky] is a stunning big-screen epic about humankind’s massive exploitation of the planet. Does any of the work capture personalities of subjects in a fashion that only a documentary feature can convey? Again, I think of ten-year-old Oleg and his loving babushka Alexandra in “The Distant Barking of Dogs.” There’s also an incredibly memorable woman in “One Child Nation” who used to perform abortions and has now dedicated her life to saving children, and has a room in her house plastered with thousands of pictures of babies as a kind of haunting tribute and stinging self-rebuke. Mike Wallace is also a fantastically complex and compelling real-life character. The film about him, thankfully, is no hagiography or one-dimensional celebration of “60 Minutes,” but a portrait of a deeply troubled man. How does DOC10 fit into the active Chicago documentary community? As we all know, Chicago has a strong record of documentary filmmaking, anchored by the likes of Kartemquin. Doc10 is a place for that community to come together with other exciting documentary filmmakers from around the country. This year, we have more parallel events to the films—an editing workshop with Aaron Wickenden, who edited “Hail Satan?” this year and “Won’t You Be My Neighbor” last year; a doc-making seminar lead by Toronto International Film Festival doc programmer Thom Powers; the Chicago Media Project’s annual pitch session. What we’re trying to do is analogous to Industry Days at the Chicago International Film Festival, where we bring knowledgeable and experienced filmmakers and industry to the city to network with the local film community, so everyone can network, learn and grow from one another. How would you characterize the ambition and range of Chicago documentary work right now? 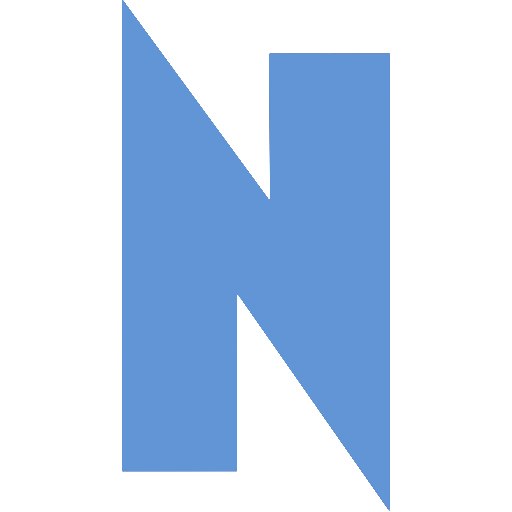 Newcity’s extensive Film 50 profiles are built each year on ideals of “community” and “cooperation,” but can you convey a sense of how sharing and willingness to share on all levels happens here? And the role of DOC10, and your role, in the midst of that? Together with my programming work at Chicago International, I would say that I see everything that’s being made doc-wise in Chicago, and it’s true that there’s a lot of vibrant documentary filmmaking coming out of the city, whether that’s the continuously monumental work of Steve James (“America to Me”) or the discovery every year of new, amazingly talented voices, whether Bing Liu (“Minding the Gap,” which played at Doc10), Assia Boundaoui (“The Feeling of Being Watched”) or Shawn Convey (“Among Wolves”), and others, who I’ve programmed at Chicago International. Unfortunately, I think a lot of filmmakers in Chicago still operate in silos or segregated cliques, but it’s also true there’s a spirit of collaboration and collectivity, especially in the doc world. I think the example of Kartemquin plays a big part in that, and other organizations like Film Fatales (largely made up of female documentary filmmakers) and the doc departments at Northwestern, DePaul and Columbia are part of that group. And I think Doc10 has become a significant part of that community, because it’s one of the few places where all of those groups will come together, excited to see great films, and have great discussions about artistry and the big issues of our times.